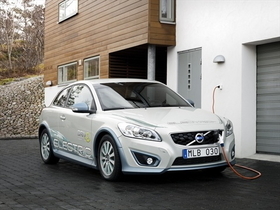 Volvo Car Corp. will launch its full-electric C30 in early 2011 and plans to have a European test fleet of about 1,000 cars. Volvo CEO Stefan Jacoby told Automotive News Europe that Volvo's home market, Sweden, and its neighboring Nordic countries will get the electric vehicle first. He said the automaker also aims to launch the EV in the UK, Germany and Belgium. “It will be in major European markets,” he said, adding that Volvo will target local governments as its first customers for the car. Volvo said that C30 DRIVe Electric test fleets also will be operating in the United States and China starting next year. The CEO said it is too early to say how larger the U.S. and China test fleets will be. He also declined to say when the car will be in dealer showrooms.